Set in 2020 in Asia, East and West cultures combine and Phantomhive is run by a young girl who has sold her soul to Sebastian, a devil. People are being mummified and whoever is behind it may be behind Phantomhive’s parents that she swore revenge for. Can she defeat them with her hell of a butler at her side? This movie is a lot different from the manga/anime, as it’s set in the future. Why they did that, I have no idea. But Sebastian and a lot of aspects mimic those in the manga/anime, like his defeating everyone with cutlery. If you don’t mind the fact they changed a lot of things, this is actually a really good movie. The subtitles sucked and weren’t that good, but it was understandable. The acting was very good, the camera, and special effects were quite spectacular. I didn’t think Sebastian fighting with forks and knives would look good in live action but they did a wonderful job, along with Mei Rin Lin’s fighting scene. The plot was straight forward, and it actually closes at the end of the movie, not leaving us hanging like the anime and the manga is still going. 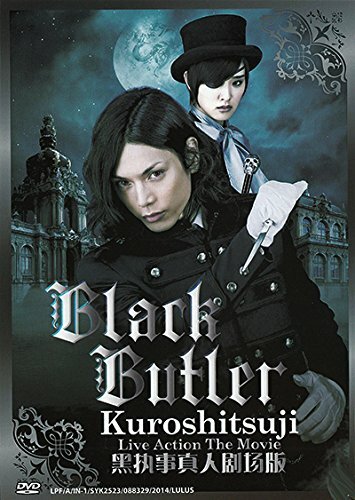 So if you are a fan of Black Butler and don’t mind the change, go for it! But if you are someone who hates when they rip things apart like the new Star Wars movie, then I wouldn’t advise watching it. I give it a 4/5 for being a pretty good movie, but the subtitles need work and they did change up the story a lot.